When you write to Official Nergal on Facebook asking, "Any luck getting your book published in English?" You might presume that you wouldn't get a response. And your presumption would be wrong. When I asked him the very same question, the answer came back as "Nope", thirty seconds later. "Well, let's do it", I said. The original Polish version of Confessions Of A Heretic — The Sacred And The Profane: Behemoth And Beyond was published in Poland in 2012 and has done, by all reports, incredibly well. It was a lavish affair: lots of imagery, artwork and rare photographs — all held together by a series of interrogations by Piotr Weltrowksi and Krzysztof Azarewicz, two of Nergal's close friends. 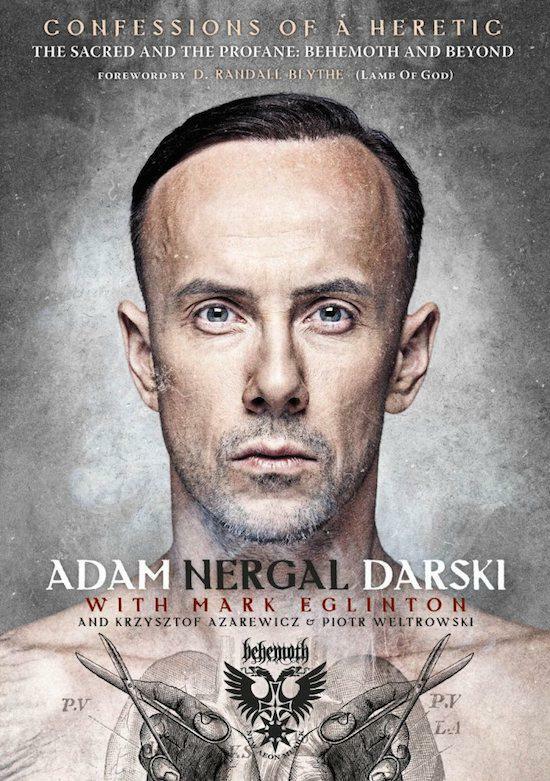 Covering all manner of subjects ranging from religion, Nergal's battle with leukaemia and his various musings on life in general, it made for seriously gripping reading and was a book that, in our opinion, simply had to be made available to the English language market. The issue was — after we agreed to secure it for a publishing deal (which we soon did with Tom Seabrook at Jawbone Press) — we needed to have the book translated, in raw form, into English and for that task Nergal called upon the supremely talented musician and English-speaking Piotrek Niesluchowski, whom he'd met while judging on the Polish version of The Voice TV show. But even after being translated, we all felt that the text needed edited/ enhanced to appeal to an audience outside of Nergal's native country, so the next few months were spent working with the translation to smooth some of the more literal expressions that were thrown up by the translation process and. With continuous input from Nergal, the English version was created to stand alone as a publication, while at the same time taking nothing away from the raw appeal of the original Polish edition. The only 100% new piece of material added was the foreword by Randy Blythe, who would have probably written 100 pages if I'd let him. I felt that — because he knew Nergal and was present at an infamous Bible-ripping incident in Louisville, Kentucky on the Sounds Of The Underground tour in 2007 — he'd be a great person to put Nergal and some of his ways of thinking in perspective. He did so brilliantly and Randy's foreword really complements the text. Enjoy it and be open to considering some views on life that you might think are a pretty extreme. 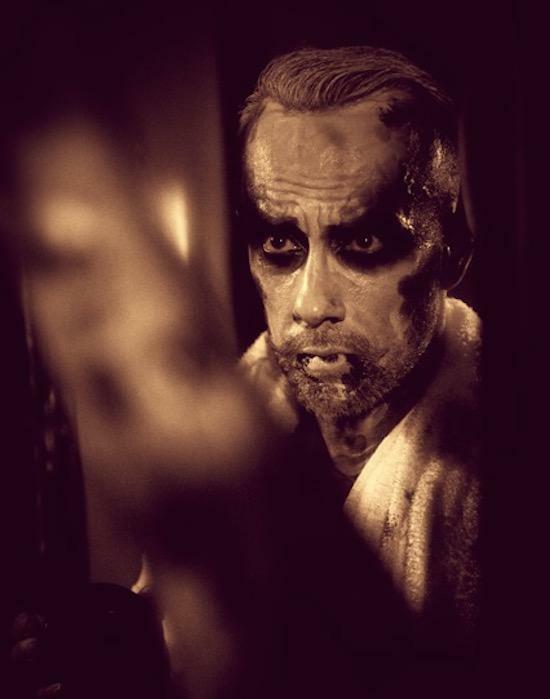 You may not always agree with him, but there's no doubt that Nergal is a guy who transcends the genre in which he operates. Excerpt from Chapter XII: Out Of The Land Of Egypt, Out Of The House Of Slavery (where Nergal discusses committing apostasy in 2012). Do you think that day changed anything in your life? Did you lose anything? Gain anything? It was all, of course, very symbolic. My whole life was proof of what side of the barricade I was on; I just wanted to dot the 'I'. It might seem like a small detail but it bothered me. Like a little thorn: almost invisible, but very irritating. I had to get rid of it. Just for myself. During one of my visits to the church, the priest mentioned, [in passing], that apostasy does not change anything. That it only causes the church sadness. I asked him if it occurred to him that maybe it's that grief that I was concerned with? Leaving the flock was not just a PR gimmick, then? Apostasy is a departure. What place did you leave that June afternoon? I left a very small, dark room, where, at least formally, I had been enclosed for my whole life. The very word 'apostasy' is fascinating. It's like a keyword or, as I sometimes put it, a 'power word'. By that, I mean that the words or symbols carry a clear message with them: a message that has a lot of content. There is a whole philosophy behind it. You don't have to explain it because it speaks for itself. That's why I chose that title for Behemoth's Apostasy album. And this is also one of the reasons I felt it was important for me to commit it and buy my own ticket to the forest. The church talks about free will, though. The presumptions of a religion may be beautiful, but 'by their fruit you will recognise them'. Free will is a clever trick, anyway. Catholics say, 'Do what you want; we're not here to judge you' — and then they turn their backs on you and judge you. Then they make a fuss that they're being hurt because someone has different views from them. The next step is lobbying for laws that are there to impose their own rules on absolutely everybody. When someone mentions freedom of belief, then publicly cries and laments the tragedy of the believers, attacked by aggressive minorities, like how Poland was attacked by Bolsheviks… all that just to dominate the people with different beliefs and to impose their own worldview on them. 'John Smith fucks girl after girl, and my religion forbids me to do that! So let's forbid him from doing it too! In fact, let's forbid everybody from doing it. Let them all be sad like us! And then, let them thank the Lord for that privilege. Besides, they should be happy that we're so generous, because Islamists would have killed them long ago!' I despise this. So you're saying that there is no freedom of belief in Poland? We live in a wonderful democracy that gives us an illusion of equality. Unfortunately, we're equal only in the material sphere. With finance and the economy — there are no superstitions there. And the rest? It was only recently — during the twentieth century — that the world was actually freed from the feudal system. People have been exploited by this system since the Middle Ages and the church was always supporting feudalism. For ages, the princes and bishops have shouted from the pulpits that a good peasant is an obedient peasant. And they were invested in that, of course. Affluent life among the nobility meant affluent life among the clergy. The system changed, the church … not so much. The priests don't propose serfdom nowadays, though. Why do you call believers names? How would you describe someone who takes the burden of slavery and tries to force others to do the same? Faith has nothing to do with it. It's a system that imposes a spiritual totalitarianism. If we were born before the seizures and annexations, most of us would do anything to throw off the chains. But when we're dealing in the spiritual sphere, we give up before we even start. For a long time, religion in Poland has been treated like air. When you breathe, you don't think about why you do it — you just do it. The church managed to inscribe religion into our tradition—to the point where nobody even questioned it. It seems like this is changing. Because there's corrosion at work. The main foundation of Catholicism — a statistical believer asks questions, often very inconvenient questions. It's hard to stop social change, and people start using their heads. They often turn their backs on the institution, but not the faith itself. They feel that religion is turning into politics. It's actually funny because Jesus, who was a rebel fighting with the order of the world, became the symbol of all that's conservative. What do the rebels do today? They flee from the zoo I talked about before. It's not the whole world, but it's a big area. In Poland, it's most of the country's territory. When we look at a map from above, we can only see a few places where there are no cages, and where animals live according to their nature. For example, in Bieszczady: there is a pack of wolves there. They are people, who—just like me—love freedom. It's easier to kill a wolf like that than to catch it because, even if you do catch it, it will die longing for freedom. Apostasy is my ticket to this forest.